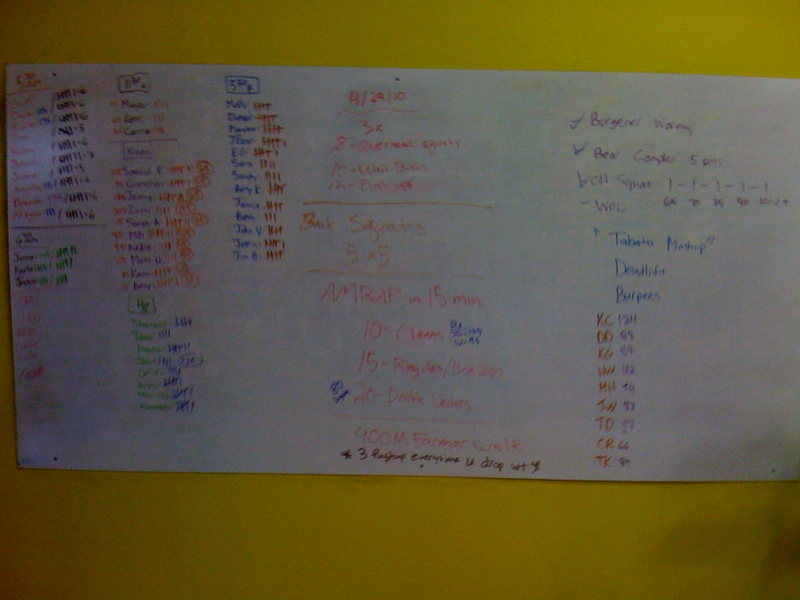 This entry was posted on April 29, 2010 at 7:44 pm and is filed under Crossfit Philosophy, Lifestyle, Members. You can follow any responses to this entry through the RSS 2.0 feed. You can leave a response, or trackback from your own site. Scales are the worst! Just like Gluten! Just like black ice! I was weighed at the Dr last week and I weigh more than I did when I started CrossFit, yet I’m down pant sizes and in the best shape of my life, etc. 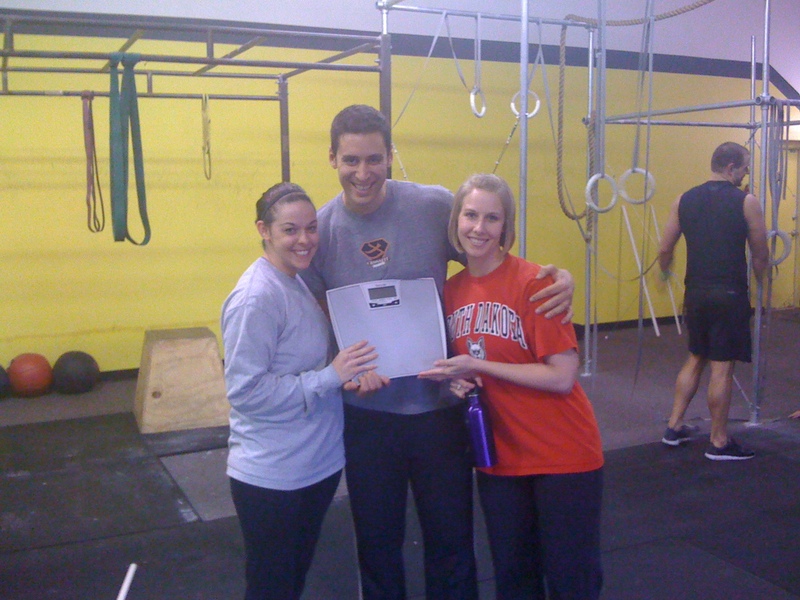 I never started CrossFit to lose weight (I was skinny fat)– just to tone up and be healthy (ONE LIFE, LIVE IT!). Signed up for CrossFit the first day I did my baseline – went to a Nutrition Cert not long after that (started eating Paleo right after I started CrossFit, before we had Paleoholics) I love Paleo, I get a high off eating good food — I just said who gives to the scale and stopped using it. I just ate 2, yes 2 BIG daddy salads for lunch and lots of other goodies earlier today, and am I worried about what the scale is going to say? NO WAY! I eat whatever I want, whenever I want, Paleo Style and know my body is smiling. Cheesy but true. If you have a scale, THROW IT AWAY!!!!!!!!!!!!!!!!!!! It messes with your mind and that’s just lame! Work out, eat right…happy you, happy body, happy family. Scale…whateverrrrrrrrrr’. 🙂 🙂 Be done! Love ya’ll! Nice work Kimmy!. Great posts Chris and MPoe. I am glad that you encouraged Amy to give up the scale – her complaining about weight has ceased ;). As far as I am concerned, weight is rather irrelevant. I personally just look in a mirror, jump up and down, and if there is excessive jiggling, there is work to be done! Sorry for the overuse of the word scale! Ok….don’t know that you’ll get me to throw away the scale (sorry 😦 ) BUT….I use the scale in a completely different way than most. I could care less if my weight goes up AS LONG AS I’m still looking toned and don’t have jiggly wigglies! I use the scale for monitoring (and probably a little obsessed with it, some would say!) meaning that I’m at a point now where I feel awesome, I’m at a weight I’m finally happy with but if I drop weight too quick or increase weight too quick within a week’s time, I’m on top of it! For me, it’s a constant reminder of why I started doing Paleo! I can finally smile every time I step on the scale whether it goes up….or down!